If you become a registered user, you will provide true, accurate, current and complete registration information about you as may be prompted by any registration forms and, if such information changes, you will promptly update the relevant registration information. During registration, you may be required to create a username and password (a “Membership”), which may permit you access to certain areas of the Websites not available to non-registered users. You are responsible for safeguarding and maintaining the confidentiality of your Membership and for restricting access to your Computer so that others may not access any password protected portion of the Websites using your username in whole or in part. If you register with us, you agree to accept sole responsibility for all activities that occur under your Membership, whether or not you have authorized the activity. You agree you will not sell, transfer or assign your Membership or any Membership rights. You agree to notify us immediately at info@ediblecommunities.com of any breach of security or unauthorized use of your Membership. We reserve the right to terminate your account or otherwise deny you access to the Websites in our sole discretion for any or no reason without notice and without liability. We have the right, but not the obligation, to monitor User Content. Please exercise caution and common sense when viewing User Content. We have no obligation to post, maintain, accept, display, exploit or otherwise make use of User Content, do not guarantee distribution of User Content and User Content will not be returned and you will not have the right, once posted, to access, archive, maintain or otherwise use such User Content on the Websites. We may discontinue operation of the Website, or your use of the Websites, in either case in whole or in part, in our sole discretion. You have no right to maintain or access your User Content on the Websites and we have no obligation to return your User Content or otherwise make it available to you. We may, in our sole discretion, delete, move, re-format, edit, alter, distort, remove or refuse to exploit User Content without notice or liability; provided, however, that we reserve the right to treat User Content on the Websites, or on certain portions of the Websites, as content stored at the direction of users for which we will not exercise editorial control except to block or remove content that is obscene, lewd, lascivious, filthy, violent, harassing or otherwise objectionable or to enforce the rights of third parties. The rights granted by you hereunder may not be terminated, revoked or rescinded and are not subject to reversion; provided, however, the rights granted by us may be terminated, revoked or rescinded and are subject to reversion. 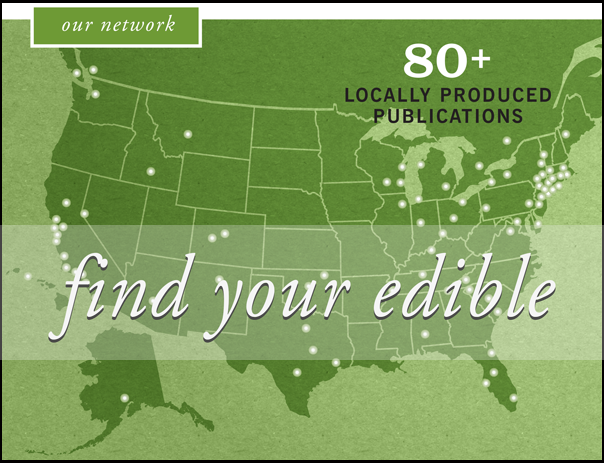 If you become aware that User Content you have submitted includes any material for which you lack the unrestricted right to grant us the rights set forth above without obligations or liability to any party, you agree to promptly provide us with detailed written notice thereof to info@ediblecommunities.com. In many instances, Website Content will include content posted by a third party or will represent the opinions and judgments of a third party. We do not endorse, warrant and are not responsible for the accuracy, timeliness, completeness, or reliability of any opinion, advice, or statement made on the Websites by anyone other than authorized employees or spokespersons while acting in their official capacities. If there is a dispute between persons accessing the Websites or between persons accessing the Websites and any third party, you understand and agree that we are under no obligation to become involved. If there is such a dispute, you hereby release Edible Communities and its officers, directors, employees, parents, partners, successors, agents, affiliates, subsidiaries, and their related companies from claims, demands, and damages of every kind or nature arising out of, relating to, or in any way connected with such dispute. The Websites may contain links to other websites maintained by third parties. We do not operate or control, in any respect, or necessarily endorse the content found on these third-party websites. You assume sole responsibility for your use of third-party links. We are not responsible for any content posted on third-party websites or liable to you for any loss or damage of any sort incurred as a result of your dealings with any third-party or their website. WARRANTIES THAT THE WEBSITES (OR THE SERVER THAT MAKES IT AVAILABLE) ARE FREE OF VIRUSES OR OTHER HARMFUL COMPONENTS. If you become a registered user, you may terminate your Membership at any time by sending an e-mail to info@ediblecommunities.com. 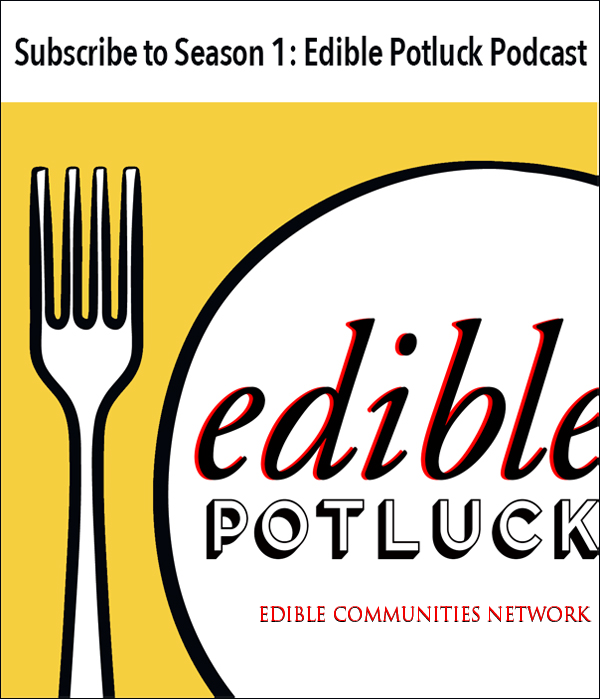 Edible Communities respects the intellectual property rights of others and expects its users to do the same. In appropriate circumstances and at its sole discretion, Edible Communities may terminate and/or disable the Membership of users who it suspects to be infringers of the copyrights (or other intellectual property rights) of others. 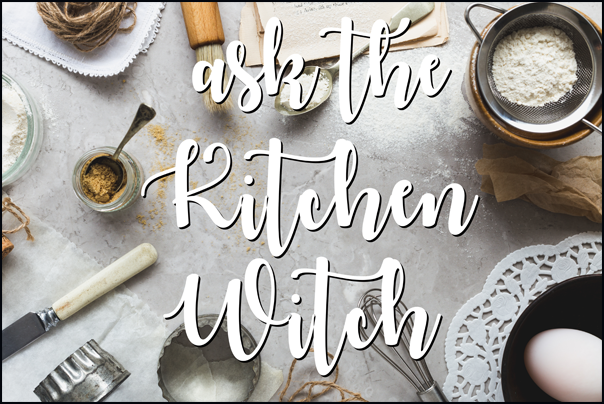 Additionally, in appropriate circumstances and in its sole discretion, Edible Communities may remove or disable access to material on any of its websites or hosted on its systems that may be infringing or the subject of infringing activity. In the Dispute Resolution Section only, “we” and “us” are used to refer to you and Edible Communities together. We each agree to first contact each other with any Disputes (defined below) and provide a written description of the problem and the proposed resolution. You agree to contact us with Disputes by contacting us at the address provided in Section 15(B)(ii) below. We will contact you based on the contact information you have provided us. If either of us wants to arbitrate a Dispute, we agree to send written notice to the other providing a description of the Dispute and the proposed resolution. 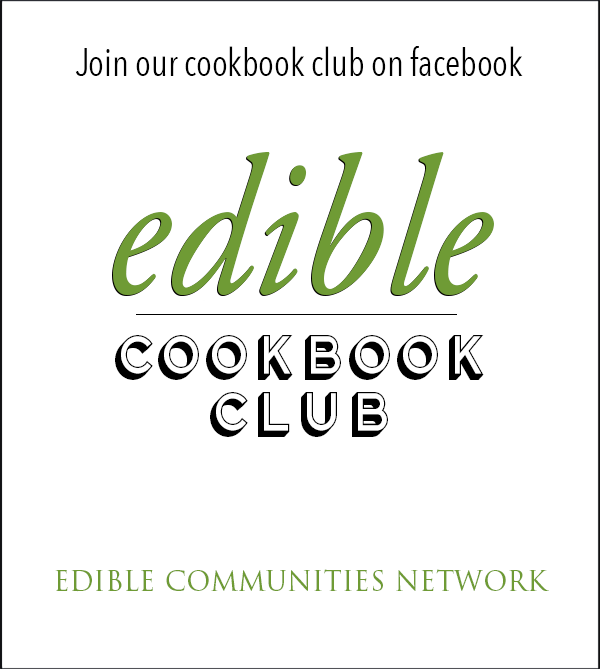 We will send notice to you based on the contact information you have provided us and notice to us must be sent to: info@ediblecommunities.com. We agree to make attempts to resolve the Dispute. If the parties cannot resolve the Dispute within forty-five (45) days of receipt of the notice to arbitrate, then either of us may submit the Dispute to formal arbitration. The arbitration will be administered by the American Arbitration Association (“AAA”) in accordance with the Commercial Arbitration Rules as supplemented by AAA’s Supplementary Procedures for Consumer-Related Disputes. In the event AAA is unwilling or unable to set a hearing date within forty-five (45) days of the filing of a “demand for arbitration”, then either party can elect to have the arbitration administered by the Judicial Arbitration and Mediation Services Inc. (“JAMS”) or any other mutually agreeable arbitration administration service. You can obtain procedures, rules, and fee information from the AAA at 1-800-778-7879 or www.adr.org. and from JAMS at (949) 224-1810 or http://www.jamsadr.com. If applicable law requires Edible Communities to pay a greater portion of the arbitration fees then provided under the applicable arbitration service’s rules in order for the arbitration provision to be enforceable, Edible Communities shall have the discretion to elect to pay such fees and proceed to arbitration. Discovery shall be permitted pursuant to the applicable arbitration rules. The arbitrator’s award will consist of a written statement stating the disposition of each claim and will provide a statement of the essential findings and conclusions on which the award is based. The award shall be enforceable by any court with jurisdiction over the parties. We each agree not to pursue arbitration on a classwide basis. We each agree that any arbitration will be solely between you and us (not brought on behalf of or together with another individual’s claim). If for any reason any court or arbitrator holds that this restriction is unconscionable or unenforceable, then our agreement to arbitrate doesn’t apply and the Dispute must be brought in court. The provisions of this Section will not apply to any legal action taken by Edible Communities to seek an injunction or other equitable relief in connection with, any loss, cost, or damage (or any potential loss, cost, or damage) relating to the Websites, any Website Content, your User Content and/or Edible Communities’s intellectual property rights. Except where prohibited or limited by applicable law, the prevailing party(ies) in the arbitration will be entitled to recover its costs and expenses, including reasonable attorneys’ fees and experts’ fees, which are incurred in connection with the arbitration. Notwithstanding the foregoing, either of us may bring qualifying claims in small claims court. TO THE EXTENT ALLOWED BY LAW, EACH OF YOU AND EDIBLE COMMUNITIES WAIVE ANY RIGHT TO PURSUE DISPUTES ON A CLASSWIDE BASIS; THAT IS, TO EITHER JOIN A CLAIM WITH THE CLAIM OF ANY OTHER PERSON OR ENTITY, OR ASSERT A CLAIM IN A REPRESENTATIVE CAPACITY ON BEHALF OF ANYONE ELSE IN ANY LAWSUIT, ARBITRATION OR OTHER PROCEEDING. TO THE EXTENT ALLOWED BY LAW, EACH OF YOU AND EDIBLE COMMUNITIES WAIVE ANY RIGHT TO TRIAL BY JURY IN ANY LAWSUIT, ARBITRATION OR OTHER PROCEEDING.